BERLIN, Dec 7 2012 (IPS) - With a persistent undercurrent of discrimination against foreigners, ‘Gastarbeiter’ (guest workers) and citizens of colour, despite the fact that 20 percent of its population – roughly 16 million residents – are from an immigrant background, Germany is faced with the urgent task of rethinking its ambivalence towards diversity. Demographic forecasts suggest that 25 percent of the population under 25 years of age are of immigrant descent. This group, increasingly referred to as the ‘new Germans’, are demanding visibility, representation and participation in social and political life, while an older generation of immigrants is quickly losing patience with the state’s inability to atone for racially motivated crimes and years of racial exclusion. At an exhibition celebrating Berlin’s 775th anniversary, entitled ‘Berlin: City of Diversity’, Turkish migrant workers – who spent their lives toiling day and night on the assembly lines of German industrial giants like Siemens and Telefunken – recalled being lured to the country during a labour shortage caused by the 1961 erection of the Berlin Wall. Today, their grandchildren continue to grapple with German society’s age-old mentality that the “boat is already full”. After the fall of the Wall in 1989, ‘integration’ became the rallying cry of German reunification. But as East and West Berlin collapsed into one another’s arms, less visible minorities – like the Vietnamese ‘boat people’ in the west and contract workers in the east – found themselves facing a double hurdle, with a glass wall of access and inclusion proving tougher to dismantle than the cement one. In 2005, in response to concerns that an ageing population and a low birth rate threatened to skew the country’s demographics, Germany revised its immigration law, stretching entry criteria to include highly skilled professionals, granting foreign graduates from local universities a year to search for work and welcoming self-employed immigrants. Shortly after the reforms were enacted, the far-right National Socialist Underground (NSU) terror cell shot their third victim, a 50-year-old Turkish food vendor in Nuremberg named Ismail Yasar, in a series of murders between 2000 and 2006. Akyün personally experienced this frightening escalation of the profiling of Turkish citizens as Islamists. “The lowest point for me was around the time of the ‘Sarrazin debate’,” she told IPS, referring to the surge of Islamophobia and populist demagoguery that followed the publication of Thilo Sarrazin’s ‘Germany is doing away with itself’ in 2010. The book, which quickly became the most popular piece of literature in decades, selling 1.5 million copies, exposed a deep anti-migrant sentiment in German society. According to Dilek Kolat, senator for work, integration and women, who spoke at the recent ‘Diversity 2012’ conference sponsored by Germany’s Diversity Charter, “a Turkish name and photograph in a job application still reduces an applicant’s chances by 14 percent”. Kolat pleaded for a concrete, top-down process to implement an agenda of equal opportunities and social inclusion, such as her brainchild ‘Berlin needs you’, a campaign designed to attract minority applicants into the public sector. “A neutrality approach is no longer relevant or helpful,” said Kolat in an address to human resources personnel and diversity managers from all over Germany. Unsurprisingly, corporations have been among the most active proponents of a self-regulating policy on diversity, as large companies eye new global markets. Noa Ha, a German-Asian critical urban researcher at Berlin’s Technical Univerisity, remembers growing up in a small German town in the 1980s, a childhood wrought with alienation. “Nazism caused a de facto whitewashing of racism and fascism in post-World War II Germany,” Ha told IPS. Subtle changes of language – including swapping uncomfortable terms such as racism and xenophobia for euphemistic alternatives like ‘Fremdenfeindlichkeit’, meaning ‘fear of foreigners’ – has complicated the country’s attempt to reckon with the past. “This has produced a culture which essentially denies the perspectives and experiences of its people of colour, which are necessary for dialogue and authentic inclusion,” added Ha, who recently organised a conference entitled ‘Decolonise the City’, aimed at raising awareness that colonialism and racism are inextricably linked. Five years ago, Siemens CEO Peter Löscher broke new ground by stating outright that his board of directors was “too German, too white, too male”. Today Brigitte Ederer, board member of Siemens AG – a global player with 52,000 employees – knows what is at stake. According to the federal ministry of labour and social affairs, Germany is looking at a labour shortfall of six million workers by 2025. 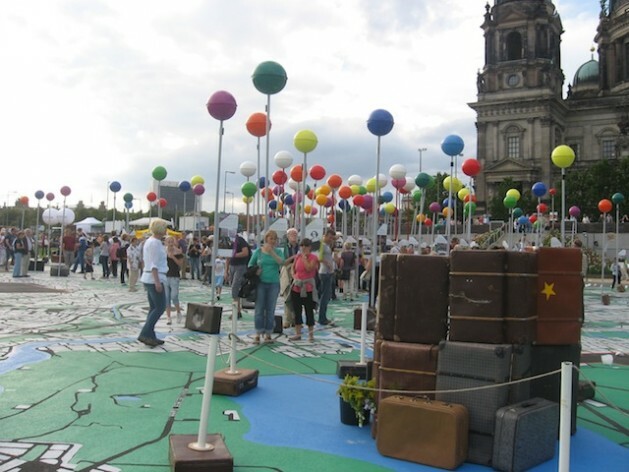 In response to this looming crisis, the EU Blue Card for immigration came into effect this August, along with the Welcome to Germany portal, a project of the Qualified Professionals Initiative that “bundles together all the key information about making a career and living in Germany”. Germany’s public sector also needs to urgently address diversity within its ranks. With only 13 percent of employees from minority backgrounds, data from the Organisation for Economic Co-operation and Development (OECD) shows that Germany is lagging behind France and the UK’s 20 percent. “The police force still has no diversity strategy to speak of, the dominant approach is assimilationist – awareness of difference is not part of the mindset and it is my goal to change this,” Margarete Koppers, Berlin’s deputy police superintendent, told IPS. Her comments come at a critical time, when the entire police apparatus is under close scrutiny for failing to book those responsible for the NSU’s nine “serial” murders of migrant shop owners from September 2000 to August 2006. Experts claim this amounts to an acceptance of pervasive structural racism, and that a formal acknowledgement, along the lines of the UK’s MacPherson report of 1994, is long overdue in Germany. Kien Nghi Ha, a professor at Tübingen University, arrived in the country as one of the so-called ‘boat people’ of 1979. In his study on Asian-German relations, Kien recalls a painful moment that defined his childhood: an attack on a Hamburg refugee asylum that left two young Vietnamese refugees, aged 18 and 22 years, dead in August of 1980. No formal enquiry ensued and no statistical information was ever filed. The murders were not even registered under the politically motivated criminality (PMC) category. Acknowledging these past crimes will be a crucial step in moving towards a more diverse and inclusive Germany.